I love Bottle Lake Plantation. If you know where to look, there is always something to see. Sometimes its birds and rabbits. Other times it’s blackberries and birds. Once I saw two carved trees. But I have never, ever seen a Gruffalo. This year that could change. The Breeze Walking Festival is on again from 29 September to 14 October (over the school holidays) and young walkers can become Mouse to explore the deep dark woods on this self-guided walk featuring storytelling and Gruffalo craft activities. 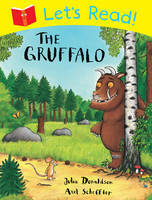 The Gruffalo Explorers walk starts at Bottle Lake Information Centre and the walk takes 30 to 60 minutes. Make a pair of mouse ears and go for a walk. Will you find any of mouse’s friends? Will you find the Gruffalo? I hope so. It’s on Wednesday 3th October, with a postponement date of Thursday 4th October. The walk starts anytime between 10am and 1pm and finishes by 2pm. You meet at the Bottle Lake Information Centre. It is an easy, flat walk,suitable for preschoolers and for children in pushchairs/buggies. Your dog is welcome too, but must stay on a leash at all times. The Breeze Walking Festival is on from Saturday 29 September to Sunday 14 October. Bring the children down to the park for a swishy swashy, splashy, sploshy, squelchy, muddy, experience. Great outing for the younger walkers and their families. Gumboots essential. Shake your tail feathers as you skip, walk, hop and stomp your way around Halswell Quarry to find Perky the Pukeko and friends. Find out more. There are plenty more walks for all ages and abilities. See them all on The Breeze Walking Festival site, check the PDF calendar of all events, or pick up a brochure from your library or CCC facility. There are birds in my garden. Lots of them. I’m not an overly keen gardener, so birds, bees and insects love our place. Wax-eyes love the flowers and silver beet that have gone to seed. Other birds like scratching up the mossy lawn looking for worms. I love the sound of birdsong. Especially the bird that flies to the top of my neighbour’s garden and sings. I didn’t know that birds are an important indicator of the health of our environment. You can participate in this citizen science project. 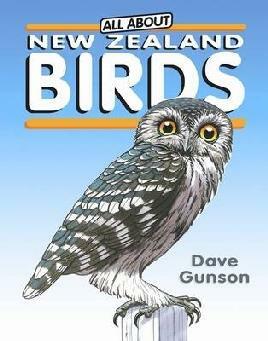 There are lots of activities and resources to help you identify birds. 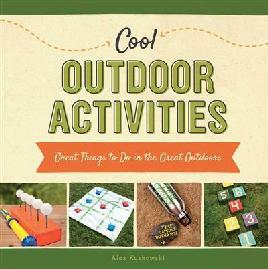 For creative kids, there is colouring in, masks to make and quizzes to do. 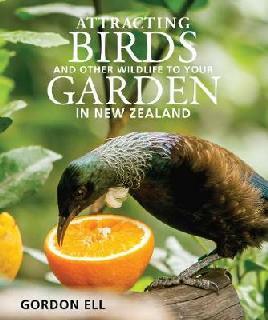 You may be wondering why we count garden birds, especially introduced species. We learn about the health of our towns and cities. Scientists can’t do this on their own. They need you. We need a good picture of the birds in our country. The more people counting birds, the more we learn about our bird population. Doing the survey is fairly easy. Print out the tally sheet and choose a day that suits you. Find a comfortable spot to sit (either inside or outside). Look and listen for one hour. For each type of bird, record the highest number seen at one time. 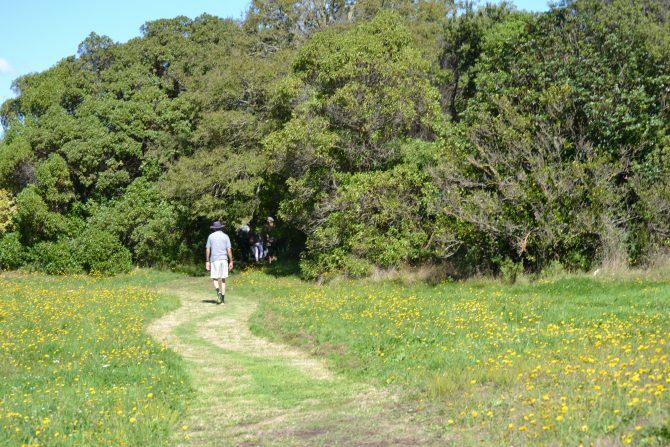 Use Landcare’s online form to enter your count. Fantastic! You have just helped scientists understand our bird population. 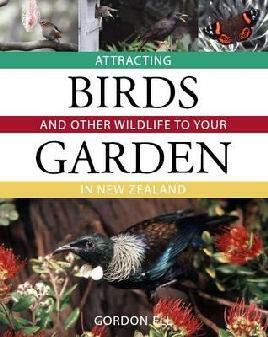 To help you with identifying birds and encouraging birds to visit your garden, here is my list of recommended books. If you have ever been bullied, you will know what it is like. You might wonder why they are doing it and when they will stop. You might feel sad or depressed. You might feel anxious, worried and alone. You are not alone, and you can get help. 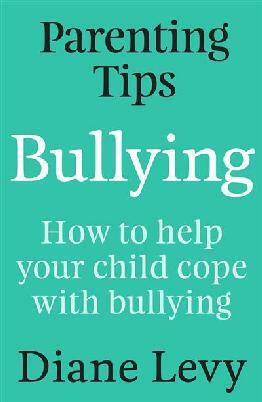 It is tragic that bullying has become the huge problem that it now is. 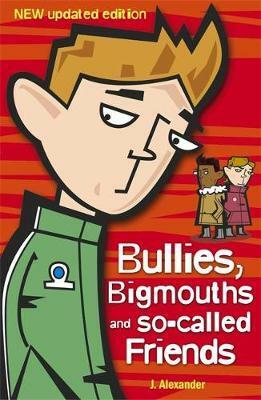 When I was at school, the school bully could torment kids to and from school. Play time and lunch time was another opportunity for bullying. Lesson time was usually safe, because the bully was older and in another class. 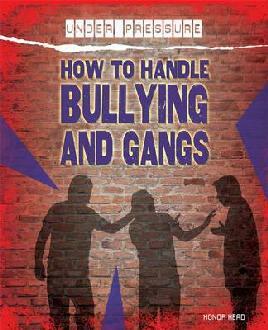 Bullies rarely bullied you in your own home. 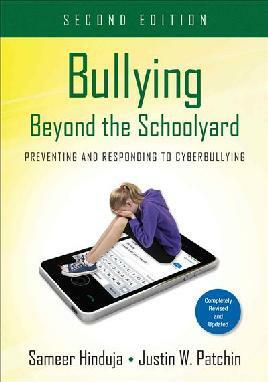 Now, with social media and cell phones, bullies can torment their victims any time. It has to end. There is never a good reason for bullying. I know people are more likely to be bullied if they seem different from their peers in some way. They might be clever or popular, different race, have different religious views. They might have disabilities. They might be a different weight or height. It could be a difference in sexuality or gender identity. We need to celebrate diversity and embrace our differences. We are not all the same and isn’t that good? Pink Shirt Day started in 2007. Two Canadian students took action against homophobic bullying, getting the whole school involved, when a fellow student was bullied for wearing a pink shirt. In New Zealand, Pink Shirt Day will be on Friday, 18th May. Show your support for diversity in you school or workplace. Stand up and speak up. Will you wear a pink shirt on Friday 18th May? Will you join me in saying “No” to bullying behaviour? 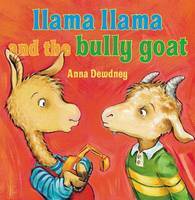 For tips on how to prevent bullying, check our catalogue for books about school bullying, cyber bullying and workplace bullying. 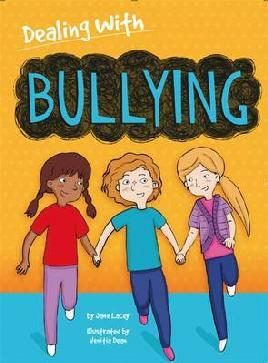 Or check out some selected titles about bullying below. 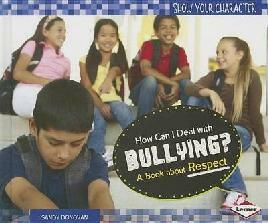 How Can I Deal With Bullying? Do you remember the 1974 Commonwealth Games in Christchurch? I do. I was on holidays and watched John Walker setting records on the track, while next door in the same complex, the Canadians and the Australians collected medals in the pool. My husband and his brother were in Christchurch and when they could, they caught the bus to Cathedral Square so they could get autographs from the athletes. Years later, I moved to Christchurch. I never ran on the athletics track, but I did go swimming in the pool. I think I set a record for the slowest lap. I didn’t mind too much. I just enjoyed swimming in the pool where records were set all those years ago. The park was damaged beyond repair in the 22nd February 2011 earthquake. For a long time, the site was a collection of broken buildings and long grass. One day I drove by, and noticed some activity. Construction vehicles were unloading gravel and the site was being cleared. Finally, good news – the site was going to become the new location for Avonside Girls High School and Shirley Boys’ High School. Two lovely new schools in our neighbourhood. That’s just part of it. A new Sport and Recreational facility and a re-built Christchurch School of Gymnastics are also planned. On Sunday, 25th March, there was an open day, where we had the opportunity to meet with council recreation staff and school staff. The buildings are still under construction, so we couldn’t go inside, but we walked around the damaged golf course and tried to remember how it was and dream of new uses of the space. The golf course was a lot bigger than I remembered, and in places it had become quite swampy. It was amazing how quickly the course had gone wild. What will we have? Have your say. 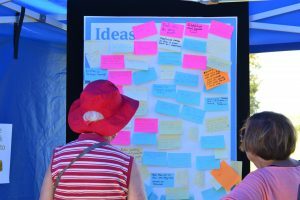 The Council is asking for your feedback (until Sunday 9 April 2018). I don’t know what the new park is going to look like, but I’m looking forward to using it again. We think everyone in the world should get to read and write. Every year, on World Read Aloud Day, people all around the globe read aloud together and share stories to advocate for literacy as a human right that belongs to all people. When I was in primary school, “Library Day” was one of my favorite days. Every second Friday, the book-bus pulled up outside our school and we chose a book each. Later that day, we would visit my grandmother and her sister. One of them would gather up the five of us and read our books to us. I loved it, especially if a hard book had been chosen and it had to be read to us. Even when we were old enough to read the library books by ourselves, being read to was enjoyed by all. The Just so stories and The Arabian nights were popular reads in my grandmother’s house and they eventually became a bit shabby. Reading aloud continued until our grandmother and our elderly aunt could no longer see well enough to read. Then it became our turn to read to them. 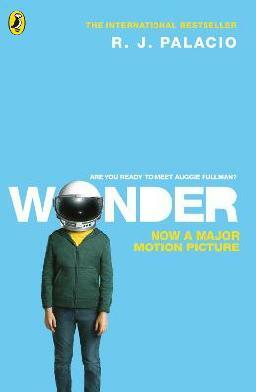 When was the last time you read aloud? Was it when your child was little? Was it before they stated to read? Have read to an older child or an adult? I have read to an older child and we enjoyed it. 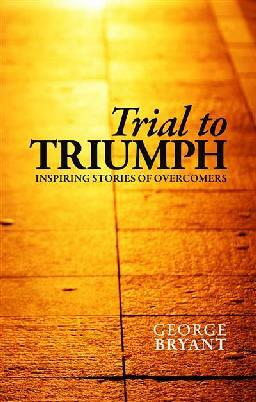 We were able to share stories and talk about the themes and issues raised by the authors. We were able to share stories that the child didn’t have the literary skills to read alone. It was a time to chat, share and discuss anything and everything. The result was, the child was exposed to stories, words and ideas that they would not have had exposure to if they had just read the stories that everyone was reading. According to UNESCO, 258 million adults – two thirds of them women – lack basic literacy skills. Among the youth population, female literacy rates have risen quickly, but still three fifths of the illiterate are women. A child who is born to a literate mother is 50% more likely to survive past the age of five than a woman who is illiterate. A literate, educated girl is less likely to acquire AIDS, have a higher income and will have a smaller healthier family than her literate counterpart. Visit litworld.org and get ready to read out aloud. Sunday, 3rd December is the International Day of Persons with Disabilities. It is estimated that one in four Kiwis live with some form of disability, so we are all touched by the diversity that comes with disability. To help celebrate this day, thousands of bright orange wristbands with the words ‘Inclusion Matters’ on them have been sent to organisations throughout the country that are part of the campaign. Disability Rights Commissioner, Paul Gibson says he is thrilled to be working with IHC, CCS Disability Action, People First and CUBE (disabled youth) who are all big supporters of this day of celebration and acknowledgement. Many disabled people lead a rich, fulfilling life of work, family, sport and educational opportunities, but there is still a long way to go to bring those with disabilities into mainstream society. There is a need to make schools, businesses and workplaces more user-friendly, especially for wheel-chair bound Kiwis. I didn’t really understand how difficult getting around could be, until a family member ended up on crutches. All of a sudden, we noticed how few disabled persons car parks there were in the city and suburbs. Steps were narrow and steep. Shopping aisles were narrow. Doors were heavy and hard to open. We were fortunate, the foot mended and the crutches got returned to a mobility aids rental business (that had a heavy, push open door). I went home with a realization that what we had lived through for a short time was permanent for many people. With more awareness and better building design, we are seeing much more diversity in the workplace and community, but there is still a long way to go. It is interesting to see that over the years, the Paralympics are becoming more popular. More athletes competing, more spectators cheering the athletes on. More coverage on television so we can see how sporty they are. And I don’t know about you but, I enjoy the Paralympics more that the Olympics. I wonder how long I’ll have to wait to see persons with disabilities on television, film and stage. How long a wait to see an Oscar nomination and win? You can find out more on the Human Rights Commission International Day of Persons with Disabilities website. Christchurch City Council’s Inclusive Christchurch links to KiwiAble services, and has an accessibility map. CINCH Community Information Christchurch lists organisations and clubs for persons with disabilities. Find resources in our collection about disability in New Zealand. When I first heard of Phantom Billstickers National Poetry Day, I immediately thought of someone heading off in the dead of night with a new poem in one hand and a pot of paste in the other. The poem would then be pasted onto a wall or lamp post for us to read the next day. I was wrong. Phantom Billstickers National Poetry Day is a day for everyone from novice and curious to professional poet to have the opportunity to share poetry and revel in its magic. To get involved and explore and share poetry. 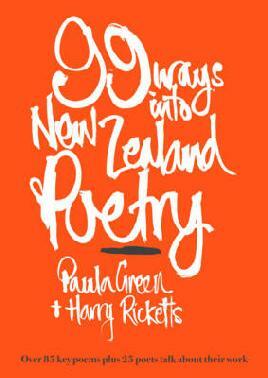 Discover New Zealand poets, and go on a magical, mystical journey. National Poetry day is held on the last Friday in August each year. There will be poetry events in the lead up to Poetry Day, featuring local poets and The School for Young Writers. there will be something for everyone. This year Phantom Billstickers National Poetry Day will be on Friday, August 25th. The organizers are promising us a one-day national poetry-event extravaganza. I enjoy poetry. I love the way the words swirl in my imagination and form pictures in my mind. I like having poetry read to me. On the 25th of August, I’ll be borrowing a book of my favourite poems and maybe someone will read to me while I close my eyes and relax. Explore the National Poetry day events on in Christchurch. Find library poetry events on our calendar. Visit Phantom Billstickers National Poetry Day website for information about their events. 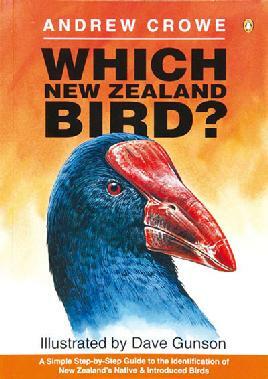 Read poetry by New Zealand Poets. This year, Primary Science Week will be on 15th to 19th May. The theme is ‘Stay safe on our roads with science’. The New Zealand Association of Science Educators is asking our young scientists to participate in this year’s national experiment. The aim this year is for classes to carry out road safety related experiments and share their experiments and results with other classes around the country. The students will see how the science community work together to find solutions to problems. Are you a primary school teacher or a keen young scientist? Then check out NZASE’s Primary Science Week website. You will find some great road safety experiments. Some are suitable for younger children, others are more suitable for older primary children. You never know, you might just be the one that makes an interesting discovery or observation that makes our roads a wee bit safer. 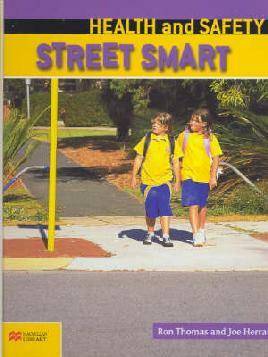 If you would like some books on road safety, check out our catalogue. One of the great things about living in Parklands is there are lots of parks. Great if you have children who like to swing, slide, run or need a safe place to ride a bike. Fantastic if you want to take a walk or go for a run. The Parklands Reserve on Queenspark Drive is big and a perfect place for children to play. It’s located near the Parklands Library, so there is another plus. If you are in Parklands on Sunday 19th February, come over and join the fun. If you have a bike, pedal along for a bike check and try the bike obstacle course. Local sports clubs will be there so you can have-a-go. A great way to try a new sport and maybe join a local club. Kelly Sports and Waimairi Golf Club will be there, so you can try SNAG and putting golf. Would you like to try out the bubble balls and mega slides? What about pedalmania or table tennis? Did you enjoy watching The Karate Kid and secretly wish you could learn karate? What’s Zumba? The pre-schoolers are welcome too with Toy Library ride-ons, story time, bouncy castle, messy play and face painting. Do you own a ukulele? Have you always wanted to try one? Then join in with the Ukulele band. Maybe you prefer the sound of brass. Have a go at playing wind instruments provided by Northwest Brass Band. By now you are probably feeling a bit tired and hungry. There will be food for sale including a Devonshire Tea tent. Will I see you there? I hope so. I’ll be the one with the camera. When: Sunday, 19th February, 3-6 PM. 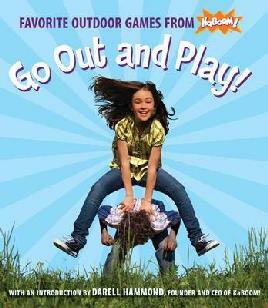 If you want to go outside and play games, we have books that have great ideas. 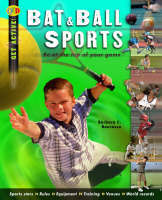 The library has books, magazines and e-resources on sport. 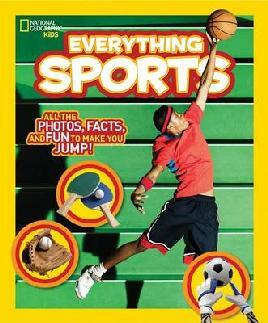 You can also do a Subject search for your preferred sport. To join a sport club, check out CINCH. I was a bout 20 when I encountered Chinese New Year for the first time. We were holidaying in Hong Kong, which was British in those days and went across the border to The People’s Republic of China. It was amazing. Bicycles were loaded up with decorations. Everyone was getting readily for New Year. I wished that I was going to be in China for a while longer. I would have loved to have seen it. During New Year, red is everywhere. It is the colour of luck and happiness. Children receive money wrapped in red paper. Adult exchange poems written on red paper. The Chinese New Year is also an opportunity to remember ancestors, and to wish peace and happiness to friends and family. The lunar new year begins on Saturday 28 January. 2017 is the year of the Red Fire Rooster. Are you a Rat, a Rooster or one of the other animals? Find out! The holiday ends with the Festival of Lanterns. In Christchurch, The Lantern Festival will be held on 17-19 February. The best time to see the lanterns is after dark, but if you can’t get there at night, a day time visit is worth while. At night, the lanterns are bright colours in a dark park. During the day, the lanterns are not lit, but are colourful reds and yellows in a green park. If you are interested in learning Mandarin and Cantonese Chinese, We have a collection of books and language courses to suit all levels. We also have Mango Languages. This is an online learning system that will help you learn many languages. It also has lessons for learning English for speakers of Mandarin, Cantonese, Korean and Japanese speakers. Use at a library or enter your library card & password / PIN. CINCH is our Community Information Christchurch database. 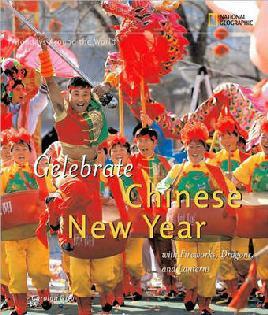 It has a list of a range of religious, arts and cultural organizations that meet the needs of the Chinese community. See how the libraries have celebrated Lunar New Year in previous years. Take a look at images of the Festival of Lanterns on our Flickr page. Find stuff in our catalogue.